Lately I’ve had a massive obsession with beauty bloggers and beauty products so I went out at the weekend and splurged on a little haul for myself. I’ve always wanted nice hair, but I have curly thick hair that I’ve never found my style with… a while ago I cut my hair into a bob ala Fearne Cotton Esq. and vowed to look after my hair more and try many wonderful you tube video styles on it and I suppose trying different hair products is all apart of that. Cue sheer blonde leave in conditioner, so far I’m liking this leave in spray it leaves my hair soft and so far I haven’t noticed any advanced greasiness before my next wash – that is a must for me, I feel like I wash my hair more than most due to greasy hair so extra grease is a definite no no! Those little blackheads are the bane of my life, I’ve lost count on how much money I’ve wasted over the years trying to keep those little suckers at bay – from the tools to the lotions, the face maskers, the steamers, the scrubs and the strips ive tried them all so I thought I may as well keep trying… something might work in the end. Another beauty must have from the beauty blogger world I ordered the double pack off the internet and split it with my friend who also wanted to try it, and I’ve recently read an article saying that bioderm is heading to the UK. My arch nemesis of this post has to go jointly to the black heads and the greasy hair…I will conquer you one day! I use the same shampoo! It’s great. im still using it! its lasted forever! i know, ive been after a red that would suit me for a while and hopefully this is the one! i still havent gotten my hands on it!!! oh the shame!! Totally addicted to you tube beauty gurus!! I love the nearly naked foundation and you must try the lip butter in tutti frutti! perfect spring/summer color! 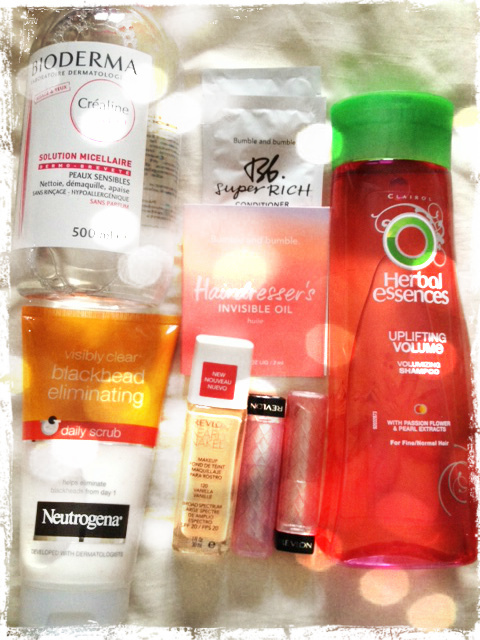 Wish List Wednesday… the beauty edition.